Bose Sleepbuds are the smallest Bose product ever made. Each bud weighs 1.4 grams and measures just over 1cm wide and high. They come with 10 pre-loaded “sleep tracks” that mirror the frequencies of snoring, neighbours, dogs, traffic and more. “During the day, QuietComfort headphones improve focus and productivity, or let you hear your playlists and calls clearly in loud places. But at night, you’re trying to shut down completely, and the world is naturally more quiet — and when it’s quiet, even the slightest sound seems loud. Bedside machines can’t cover it, earplugs can’t block it, and earbuds meant for sitting, standing, or moving can’t be worn for hours laying down — especially on your side. 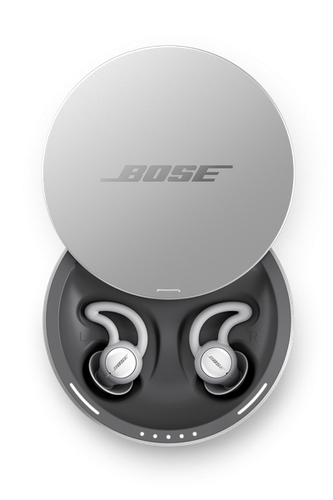 But Bose sleepbuds can,” added Lee. The Sleepbuds feature new patented ear this for a snug, soft, barely-felt fit, according to Bose. They can also run for up to 16 hours. Bose Sleepbuds are available for $379 from Bose stores, bose.com and selected resellers. For more information, visit www.bose.com.au/Sleepbuds.